There is a chill in the air and there is no denying that the nights are drawing in. Whilst I am always sad to see the end of summer and more so of the jam season, I am delighted to embrace the season of snuggling by the fire, roasted chestnuts, toffee apples and indeed Halloween. It’s been a hectic few weeks and I’ve done everything from demonstrating 1940’s frugal food at Newport Food Festival to giving a talk on the History of Cakes at Cardiff Story Museum. I certainly know how to keep myself busy. Thankfully I have been able to indulge in a little baking and there was plenty of cake on offer this week. 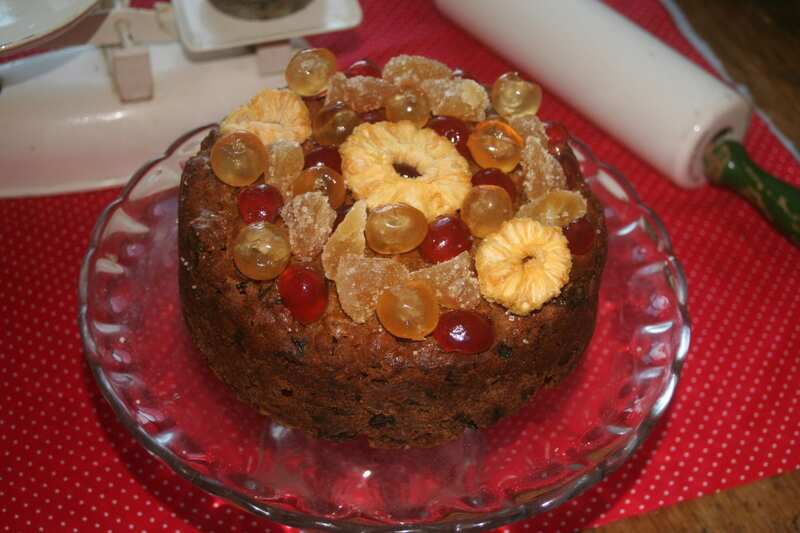 On BBC Radio Wales, presenter Eleri Sion got to sample some of my Tudor cakes and even a fruit cake made to a 1940’s wartime recipe that included gravy browning as a colourant, perhaps one of the most economical fruit cakes I have ever made. Many foods have been thought to possess magical qualities and even aphrodisiac powers and none more than the apple. I’ve been reflecting on the delightful mythology of apples as I prepare for my talk and cooking demonstrations at the annual apple festival, held at Llanerchaeron Estate in West Wales. I had a fantastic day at Llanerchaeron picking apples from their historic orchard, although I have to confess that picking apples with permission is not as much fun as scrumping. With my pantry filled with apples and a long awaited day of preserving them within sight; I have been researching some of the curious apple customs that have faded into obscurity, one thing has become apparent is that throughout history apples have been a symbol of luxury, pleasure, loves, fertility, and even jealousy. Folklore aside there is nothing as delicious as a good British apple and I shall be singing the praises of the old varieties of this wonderful fruit. I shall be doing a few practical demonstrations and sharing some practical tips on preserving, cooking and the just plain eating of apples. I’m rather looking forward to a weekend of apples, can you tell? Apples aside I now have to finish my research into Lady Docker, who deservedly gained the title of Naughty Norah. A former dancer at the Café de Paris, Norah had been left well off following her previous marriages and had acquired a taste for the high life. Her third marriage to Sir Bernard Docker saw her reputation precede her for extravagance and for having rather poor social graces when intoxicated with pink champagne. This week I had the great delight of staying at a castle that the badly behaved socialite and Sir Bernard had once owned, I am now enjoying getting into a rather nice article on the history of Glyndyfi Castle, which is currently run as an exclusive country house retreat that is of a standard I am sure Norah would have approved of. Well my research calls and so I bid you a fond farewell from West Wales. « Get off your hobbyhorse, the new Renault Twingo is the tops!